Seattle Scrum Meetup - 1st Wednesday each month! **Note: We have moved to WeWork Lincoln Square - see instructions below. A discussion of Scrum methodologies and best practices. Past sessions have included an overview of Scrum methodology and a survey of the different tools people are using to do Scrum in the real world. James Burk, Sr. Manager of PM at Artic Consulting and a former Microsoft Sr. Program Manager, is our organizer. 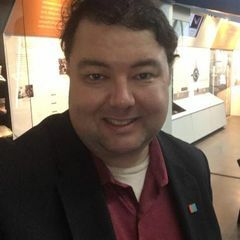 He is a Certified Scrum Master with both Mike Cohen's Mountain Goat Software and the Scrum Alliance through Mitch Lacey (a former Microsoft colleague of James'). James has over 20 years experience with running large software development projects and has been implementing & using Scrum actively since 2007. **IMPORTANT: we have begin meeting at WeWork Lincoln Square in Bellevue, WA, which is in the newly-built South end of the Lincoln Square complex. The easiest path to get to our Meetup is to park your car in the South Garage, which stops charging for parking if you leave after 8pm. (You can also get your ticket validated for up to 3 hours at WeWork or any retail/restaurant in Lincoln Square.) Take the elevator to Floor #2 of Lincoln Square South, and walk through the food court to another set of elevators leading to the 5th Floor. It is indicated at the opposite end of the food court with a "Coworking Space" sign pointing to the correct bank of elevators on the left. Take an elevator to floor 5 and enter WeWork. Tell the front desk you are with James Burk and the Seattle Scrum Meetup. Again, as long as you leave the parking garage after 8PM, you will not be charged for parking. We typically go around that long, or if we end early, you could enjoy a late dinner (or adult beverage) in the nearby food court.